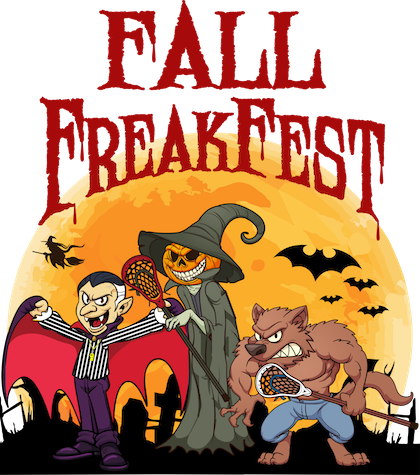 The Fall FreakFest has partnered with Great Wolf Lodge Resort in Williamsburg to offer an exclusive, incredible getaway experience to tournament participants and their families. For a room rate of just $199.00 per night, Fall FreakFest attendees can stay in a Family Suite, large enough for six people and consisting of two queen beds, a living area and a full-size sofa sleeper. The rate also includes passes to the resort's award-winning indoor water park. 25% discount in Loose Moose Restaurant, Buckhorn Exchange, Elements Spa, Scoops Spa, and all outdoor attractions. Two-hour Fall FreakFest welcome reception. Exclusive bounce back rate when returning for the 2018 Colonial Challenge or 2019 Summer Celebration. Individual and group reservations can be made by phone at (866) 972-9653. Individuals may also register on-line. Guests must book their rooms by September 26,2018 and identify themselves as participants in the Fall FreakFest or input the group code 1810LAX to obtain the discounted group rate. For tournament attendees looking for a more traditional hotel experience, the Fall FreakFest has also partnered with Williamsburg Sports Travel to provide exclusive discounted room rates at numerous popular Williamsburg hotels. Whether looking for rooms for an entire team or a single family, tournament attendees can select from a variety properties. Also, by booking with Williamsburg Sports Travel, Fall FreakFest attendees will receive VIP coupons, good for discounts to popular area attractions, restaurants, outlet shopping and rounds of championship golf! Finally, Fall FreakFest attendees are welcome to take advantage of discounted tickets to area attractions through Williamsburg Vacations. Busch Gardens, Colonial Williamsburg, Jamestown and Yorktown are among the attractions that tournament attendees can visit at a reduced rate.